If you’re the Mum of a struggling reader or reluctant learner this article is for you. 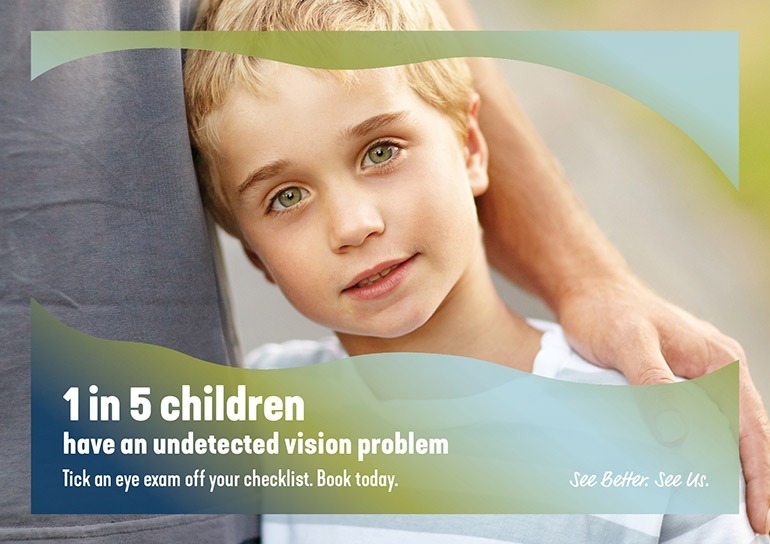 With one in five Australian kids having an undetected vision problem, help could be much simpler than you realise. How? Your child needs a eye test. 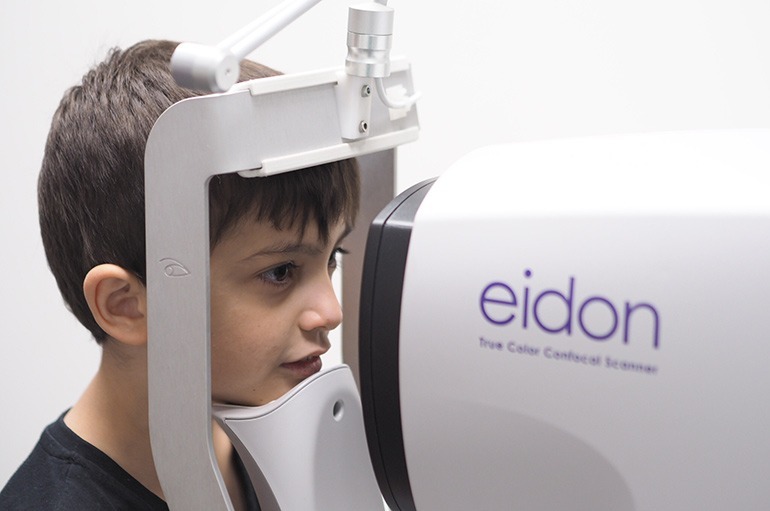 Regular eye tests are vital for all kids to catch child vision problems early on. Adding an eye test to your back to school list every second year is a simple way to make sure you keep on top of this important task. Undetected vision issues can impact a child’s ability to thrive in the classroom. In the first 12 years of a child’s life, vision is responsible for 80% of their learning. The Phoropter (Robot Eyes) tests the eyes ability to focus. Children with undetected vision problems can struggle with learning to read and completing their work. It is common that they may also become disinterested in the classroom and seek to avoid reading altogether. The daily rigours of the classroom are challenge enough for little ones – without added struggles due to vision problems. A routine eye test is the best way to rule out any potential issues and give your child the best chance of classroom success. Long Sightedness – A common focussing problem, often the cause of vision problems, headaches and tiredness due to the eye’s inability to focus close up, particularly when reading. Short Sightedness – Often you’ll find it difficult to see things in the distance clearly (or hard to read road signs for example at night. Children can squint at the TV, blackboard or signs in the distance) because they’re blurred and hard to focus on. Astigmatism – A distortion of the shape of things and doesn’t become obvious until children are learning and reading (letters and numbers can be hard to define). Don’t let your child be a statistic! 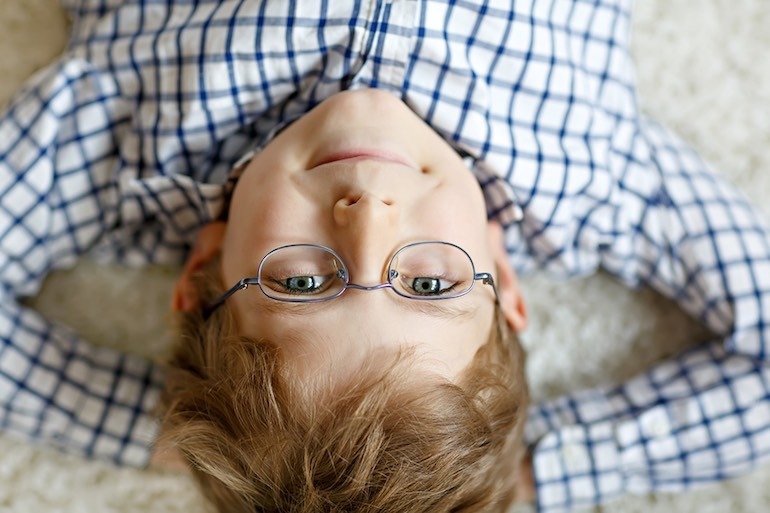 The numbers are surprising – 1 in 5 children actually have an undetected vision problem. Loosely, that’s about five children in every Aussie classroom. Visit your local independent optometrist – just like we did! 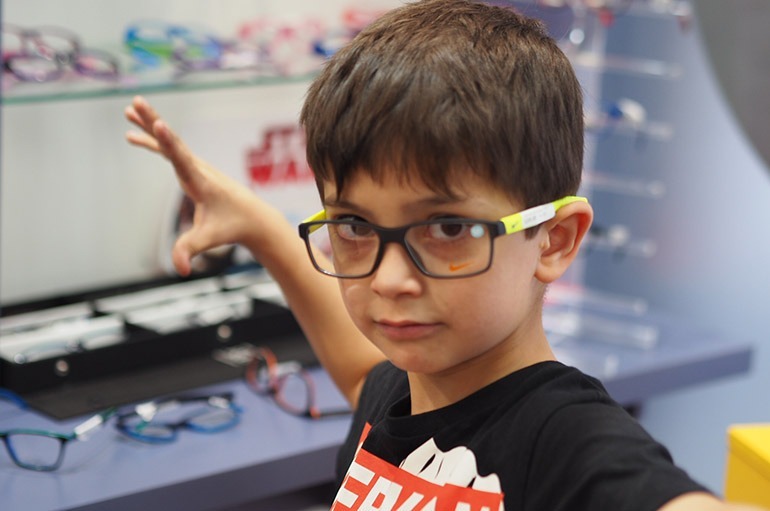 I decided to ‘walk the talk’ and take my seven-year-old son Alex for a routine eye check. He’d been squinting at the whiteboard and getting distracted in class. And he was standing WAY too close to the TV for my liking when playing video games. Alex will commence Year Two this year. I have read the figures about undetected vision problems and wanted to make sure he commences the school year with as best start for success as we could provide. I found my local independent optometrist online and made a 30-minute appointment. It was quick and easy to find a time to suit my busy schedule. Let’s face it. Taking a child to any kind of medical appointment can be stressful. 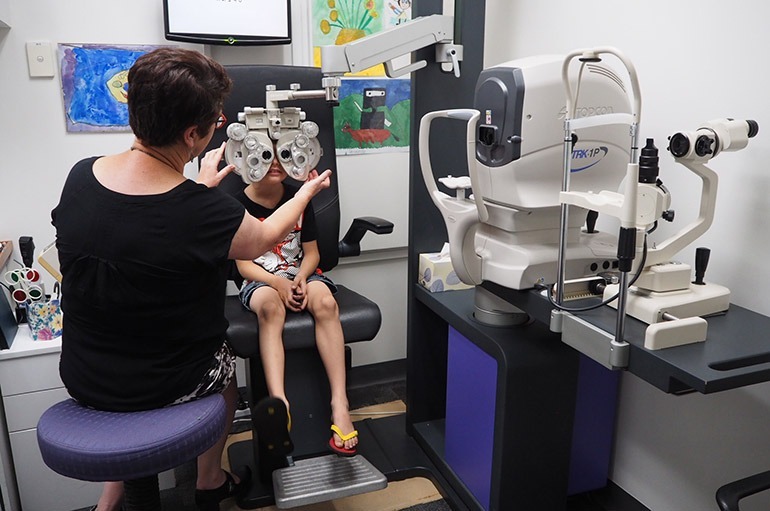 The great news about having your child’s eyes tested at your local independent optometrist is that they take the time to get to know your child, ensuring that everyone feels at ease. The optometrist was fabulous. They made sure to explain the entire process to Alex and myself. I knew what was happening every step of the way and Alex felt confident as well. He warmed up pretty quickly as she made it fun and pretty soon he totally bought into the whole testing process with vigour. It was great to see a healthcare provider who could make a child feel so comfortable, it really lifted those nerves for us all. From the moment we entered, I felt like having Alex’s eyes tested for child vision problems was a good decision. Their expertise and professionalism made us both feel confident we were in safe and experienced hands. 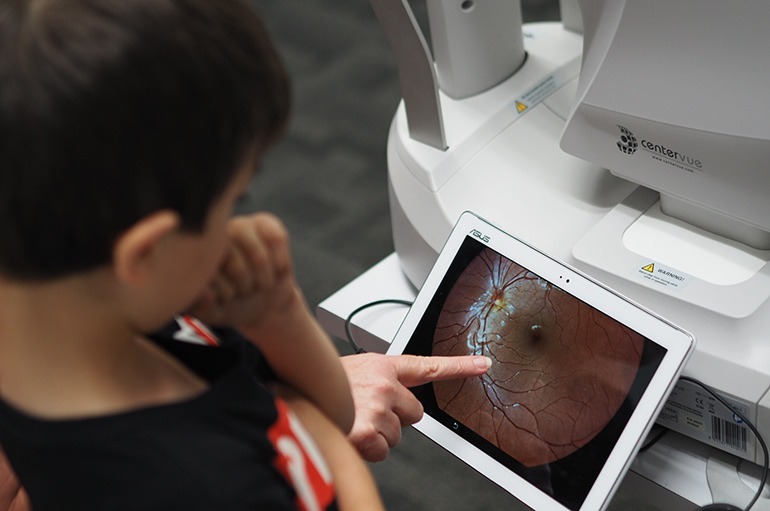 This machine took a detailed photograph of the retina in each of Alex’s eyes. After Alex was prescribed glasses we were given lots of information to make sure we understood, as well as great support in choosing him some ‘cool specs’ that he was actually enthusiastic to wear! Choosing frames that suit his head shape, size and making sure they don’t slip or fall is a real art. The super friendly (and patient) staff helped us find the pair best suited to his (quite large) head. Alex is now a proud wearer of glasses! The optometrist was thorough. Knowing they used the latest technologies gave me great peace of mind. 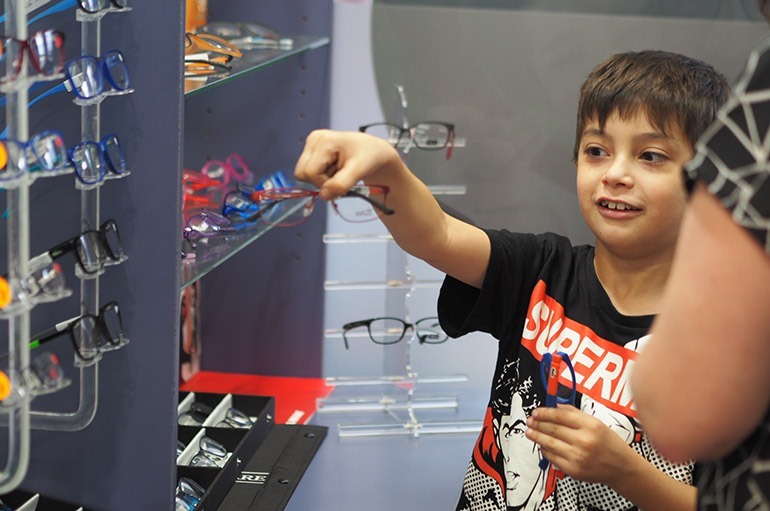 Even when we chose his frames the optometrist provided some tips for what would best suit a very active little boy. I feel like ticking the ‘eye check box’ as part of my back to school routine has really set Alex up for a good year. Join me in setting your child up for a great school term. 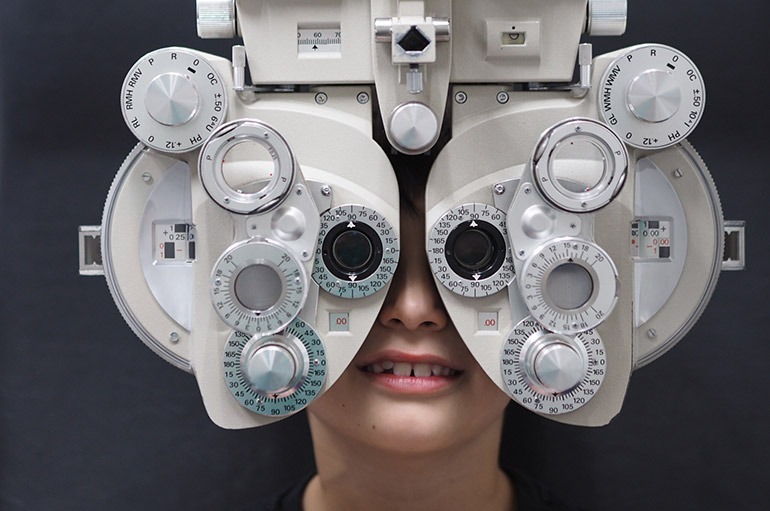 Add a children’s eye test to your back to school routine every other year (or as recommended by your optometrist) to catch child vision problems and know you’re in the expert hands of your local independent optometrist. Doing this makes sure your kids kick off the term with every chance for success – and no undetected eye problems! Arranging your own child’s appointment is as simple as clicking the button below! ProVision is a community of 450 independent optometry practices around Australia. With a commitment to clinical excellence, continuity of care, personalised service and quality products, they’re the ideal choice for Aussie families. Every optometrist is proudly independent to ensure your care – and your child’s care – always comes first. To find your closest kid-friendly ProVision independent optometrist (just like mine), search online at ProVision.